Get rid of stains on your nail left by old nail polish or stubborn food colors! 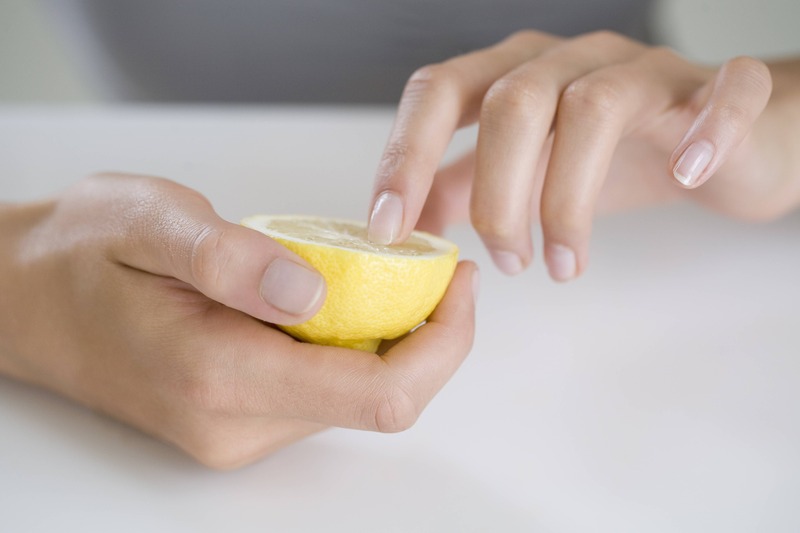 Soak your nails in juice of half a lemon for a few minutes. Then, scrub your nails with an old toothbrush. Wash off with warm water and find clear, shining nails!